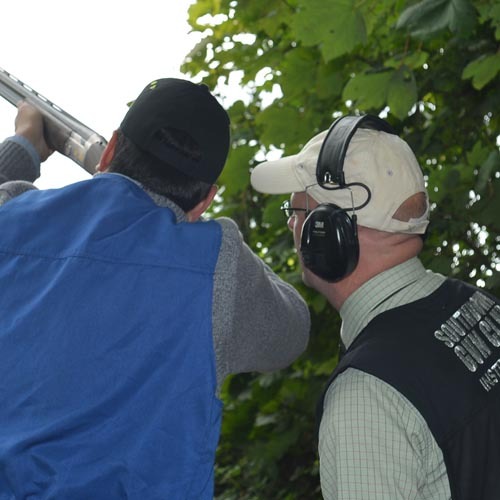 Clay pigeon shooting is an inclusive sport that is gaining in popularity. Even though the mention of guns can often gain a raised eyebrow, clay shooting in a professional environment could not be safer. It’s fun to try something new that everyone can take part in; you never know if it could lead to a new talent or skill that you can develop and enjoy on a regular basis. A have-a-go experience is a unique activity to try by yourself, or in a group of friends – try it, you never know, you may just love it! Shooting is definitely not just a summer sport. With the right clothing and protection, it’s the best year-round activity, enjoyed by everyone even in the colder months. Fresh air is the best way to rejuvenate and blow out the cobwebs, so a have-a-go shoot is the perfect excuse to get outside and get moving! Remember there is no such thing as bad weather, just inappropriate clothing! A have-a-go experience is great to share with friends or family members – you can compare scores, cheer each other on and spend time socialising and chatting throughout the day. If you’re on your own and looking to try something new to meet people, don’t underestimate shooting as a solo sport. Gun clubs often hold various competitions and events buzzing with different levels of shooters. It can be a really social atmosphere and a great way to make new friends who have similar interests – so start with a have-a-go and you never know where it may lead. There is no better feeling than when you break your first clay, and that adrenaline rush can be quite addictive! Endorphins make us feel great, and the combination of being outdoors, hitting targets and physical activity is the best way to get them flowing. Clay pigeon shooting is a sport where you can constantly strive to better yourself, improving your technique or beating your own score each time you practice. If you have a competitive side, you can challenge others to see who can hit the most clays, and make your experience as fun and worthwhile as possible. Do you ever feel stumped for the perfect present for your loved one’s birthday or special occasion? Sometimes another pair of socks just won’t cut it! A have-a-go experience, or shooting voucher can make an awesome present for someone who’s got everything. They may have never thought of giving shooting a go, but what better present to receive than a new experience that will help them make great memories, or better yet, lead to a lifelong passion and skill.